Why have developers at places like Facebook and Twitter increasingly turned to graph databases to manage their highly connected big data? The short answer is that graphs offer superior speed and flexibility to get the job done. It’s time you added skills in graph databases to your toolkit. 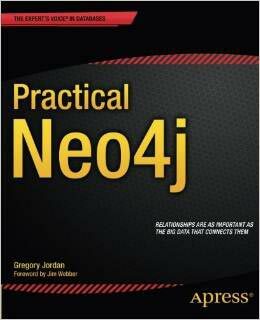 In Practical Neo4j, database expert Greg Jordan guides you through the background and basics of graph databases and gets you quickly up and running with Neo4j, the most prominent graph database on the market today. Jordan walks you through the data modeling stages for projects such as social networks, recommendation engines, and geo-based applications. The book also dives into the configuration steps as well as the language options used to create your Neo4j-backed applications.